We are back from Canada, very jet lagged and officially half way through this pregnancy! It's time to start preparing Ethan for the arrival of his new sibling! As we're having a quiet week, there's a few books that we're going to look at as part of Ethan's Personal, Social and Emotional Development in preparation for becoming a big brother! 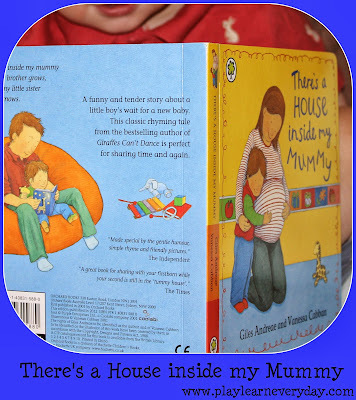 The first book is called There's a House inside my Mummy.